Did you know one of the largest parks in the United States is located in Los Angeles? 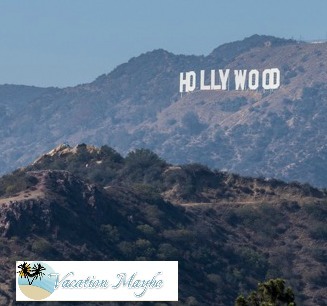 Griffith Park is located in the Santa Monica mountains and home to more than 56 miles of hiking trails, the Los Angeles Zoo, the Observatory, great views of LA and the Hollywood sign, and more. 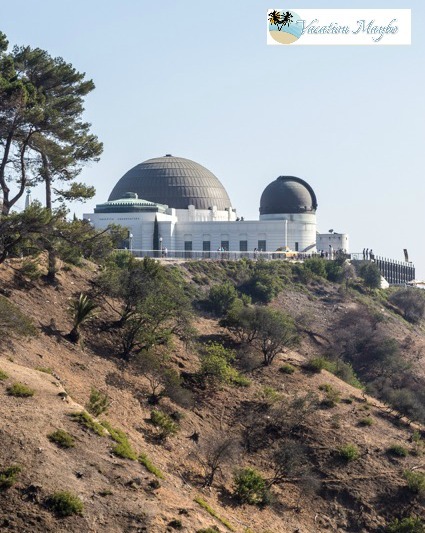 On our last visit to Griffith Park we decided to check out the Griffith Observatory. There is a great museum located inside the observatory focused on science and discovery with interactive exhibits. And if you are interested in learning about this history of the Observatory there is a free 24-minute informative video in the Leonard Nimoy Event Horizon Theater. Another great thing they have to offer is the Planetarium, with shows (fee) offered daily every 60 to 90 minutes. Unfortunately, for us, only the first show allows children under five to attend. To get a great view of the city (day or night) visitors are able to climb to the top of the Observatory. There you can check out the telescopes, which are open to the public each evening the skies are clear. The views of both Los Angeles and the Hollywood sign are stunning. And if you are interested in hiking, there are a few trails that stem from the Observatory’s parking lot. The Charlie Turner Trailhead takes you to the top of Mt. Hollywood and can offer even better views of the city. There is not a lot of shade on these trails so make sure you plan ahead and bring plenty of water and sunscreen. We had a lot of fun at the Observatory and are looking forward to our next visit to see even more of what Griffith Park has to offer.